Although it may not seem like it, teens are looking for your approval and your guidance. Research shows parent disapproval of underage drinking is the key reason youth chose not to drink. Kids need to know your values, position, and expectations of them on this critical issue. Begin the conversations about drugs and alcohol early. Follow these age-appropriate talking tips to help guide your conversations. There is only one known entity that can consistently help kids make smart decisions - PARENTS! Set clear boundaries and limits. Get to know their friends. Remember - most young people don't drink or do drugs. 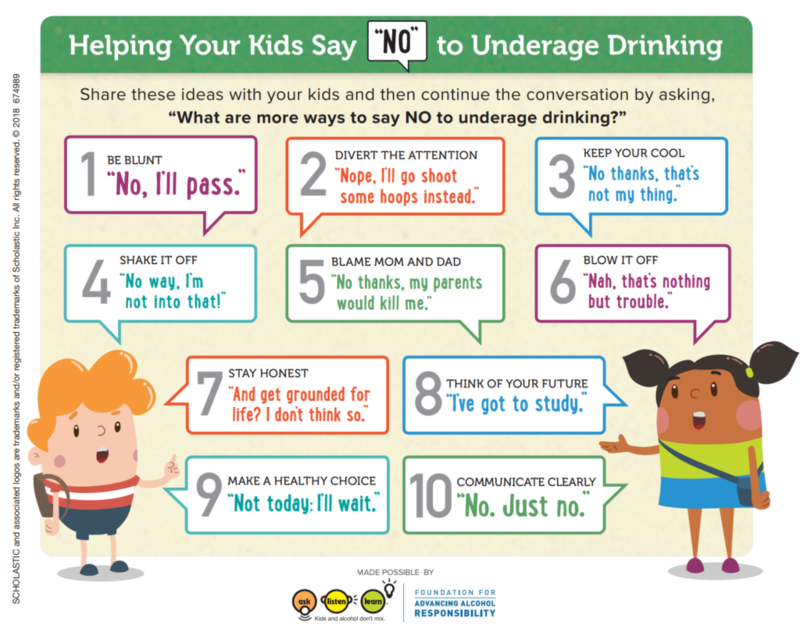 Be open to questions that your child may have regarding alcohol, tobacco, or drugs. Explain what alcohol and drugs are, as well as the harm that they cause. Express strong family values and rules about alcohol and drugs. Have in-depth discussions with your child on a variety of subjects. This will lay the foundation for important discussions as they get older. Build trust so your child feels comfortable coming to you with problems and challenges that they face. For lots of great resources, talking tips, and videos for children about how alcohol affects the brain, visit Ask Listen Learn. Be factual. Avoid exaggeration. Explain why some people use substances and explain the risks that they are taking. Explain how illegal drugs and alcohol adversely affect the developing brain. Give the facts and discredit the myths they will hear about alcohol and illegal drugs from peers, the media, and others. For lots of great resources, talking tips, and videos for children about alcohol affects the brain, visit Ask Listen Learn. Kids at this age are curious about alcohol and drugs. It is critical to provide them with factual information before they have the opportunity to experiment. Although teens may not show they appreciate it, parents profoundly shape the choices their children make about drugs and alcohol. Discuss the long-term effects that underage drinking has on brain development and the increased risk of life-long addiction tendencies. Help your child develop an exit plan for how to get out of a situation which makes them uncomfortable. Create a code word or phrase that they can call or text you with so that you will know to come and get them. Reinforce family rules regarding underage drinking and illegal drug use. Communicate that underage drinking and illegal drug use have serious and permanent consequences. Older teenagers are future oriented and more likely to respond to discussions about the ways in which underage drinking can affect getting into college, being accepted for a job, and increasing the risk of drug and alcohol dependency as an adult. Praise your older teen for all their healthy/positive choices. Encourage them for all the things they do well. Tell them how proud you are of them. 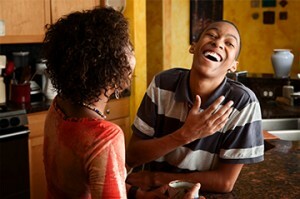 Being appreciated by parents is highly motivating for teens to continue to make healthy choices.